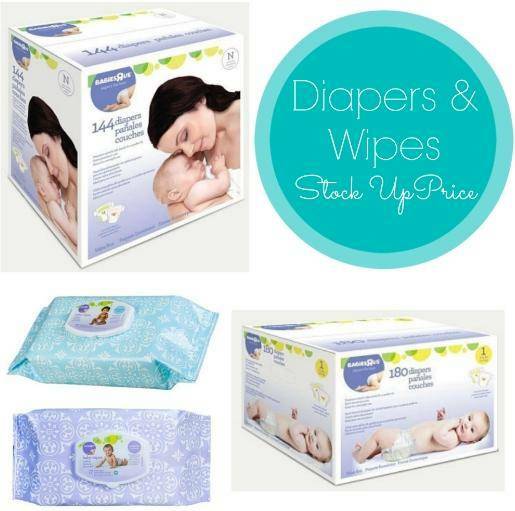 Home / Deals / Online Deals / Baby Deals / Diapers / Babies R Us Diapers Stock Up Price-As low as $0.10 per Diaper + FREE Wipes! WOWW!!! Get one of the best Diaper Deals I have seen today with a Babies R Us Diapers Stock Up Price at Rakuten when you use Visa Checkout! You will get $15 off $50 purchases at Rakuten when you use the code VISA15 at checkout AND you will get FREE shipping on $49 or more before your coupons are applied! They have the HUGE boxes of Babies R Us Value Pack Diapers for $23.99 and the small packs of Baby Wipes for $2.49. If you buy 2 boxes of diapers and one pack of wipes priced at $2.49, you will pay $34.47 shipped after the Visa Checkout and code! That is like paying$17.24 per box which is as low as $0.10 per diaper, depending on the count, and getting the wipes for FREE!